This opportunity for blockchain arises in an era where the management and services of our cities are being digitalised and are developing towards what is called “smart cities”. It also comes at a time when public administrations all over the world are facing a growing demand to fight corruption; to improve the efficiency, transparency and security of their systems; and to develop a more participative, interactive and democratic citizenship. 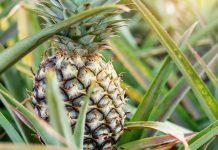 Existing organisational models and technology platforms have not been able to provide all of the above-mentioned needs. 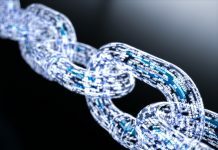 Blockchain technology, though, could offer solutions for the improvement of many of these aspects since one of its main features is that it provides a transparent, neutral, non-hierarchical, accessible, non-manipulable and secure information platform. Blockchain is also especially suitable for environments where there is low trust established between the actors, which is the case of the governance of our cities. 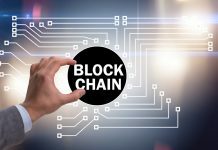 As a proof of the increasing interest in the use of blockchain for public services, many cities around the world have started to experiment with the development of blockchain applications. That work is of great importance since it generates experience and knowledge. But almost all blockchain applications currently developed, are isolated and hardly any city has a clear strategy on how to integrate them within a complete blockchain-based governance model for public services. 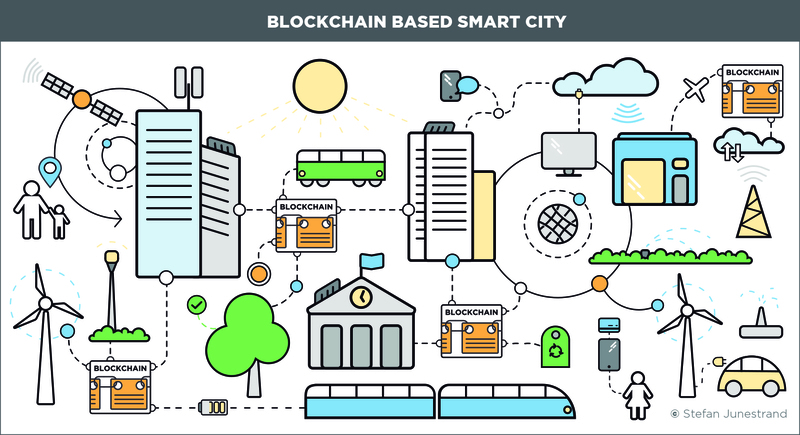 The aim of this article is to help stakeholders in cities around the world to understand the framework, as well as the different components and their functionalities in a fully developed blockchain-based governance model for public services in smart cities. In this way, it will be easier to avoid unnecessary mistakes and get on the right track from the beginning. 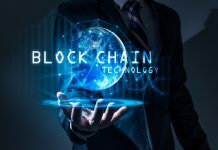 This article starts with an introduction of the blockchain technology itself, as well as the phenomenon of smart cities. After that, it analyses how these two concepts can work together and presents a blockchain-based governance model for public services in smart cities. It concludes with some practical recommendations for cities in their approach to blockchain projects, along with a discussion of potential future research. It is worth pointing out that the political responsibilities for cities vary enormously around the world. And this article has a very open approach to this fact, as it considers that the city government could potentially provide almost any sort of public service in areas like administration, education, health, social services, transportation, security, energy, telecommunication, urban planning, waste management, etc. Blockchain is a decentralised registry distributed on a computer network, where each computer stores the same information. On public blockchains, the information and functionality is owned and controlled by the members of the network and not by a central entity. The members of the blockchain system can add new information, but the previous records cannot be modified. The information can also be made public for any user to read. Blockchain is designed to offer a secure, immutable and transparent information management platform for almost any application and it is especially relevant in environments where there is a lack of trust between the actors. 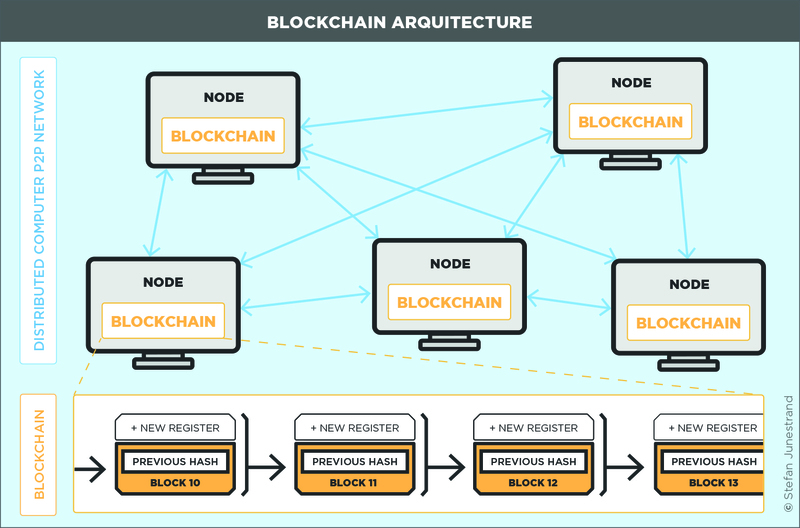 Figure 1 shows a blockchain architecture, with the distributed peer-to-peer (P2P) computer network in which interconnected nodes (“peers”) share resources amongst each other without the use of a centralised administrative system and each node has a shared version of the blockchain. For every new register, a new block is created, adding the new register to the previous information which is then updated on the whole network. It is important to understand that there is not only one blockchain, nor one single blockchain technology, but that the use of the concept blockchain, on a daily basis, refers to what is called distributed ledger technologies (DLTs). Ledger relates here to the traditional book of accounting where all the economic movements of an organisational entity (company, public administration, etc.) are recorded in chronological order. Nowadays, the use of blockchain is not limited to economic transactions, but it is also used to record any “event” that occurs and that we want to keep a record of, for example: the transfer of properties, weather conditions, gaming results or medical history. The second generation of blockchain offers an additional functionality to the pure recording of data, which is called “smart contracts”. Smart contracts allow the blockchain to be programmed for automatic actions of any kind, triggered by any external action, based on simple conditional statements. A Dapp is a blockchain-enabled web application, although in blockchain the applications aren’t called Apps, but Dapps (decentralised applications). This refers to that the blockchain applications are run on a decentralised network. The Dapps are built upon the smart contract and use “tokens” for the transactions within the application and can also use them to reward users that provide computing power to the network. Decentralised ownership: Instead of a centralised database, a blockchain uses many decentralised, distributed and replicated databases in a computer network. This decentralised architecture establishes the ownership of the network to the users and not to a centralised organisation. Immutability: Data storage is done in “blocks”, which are linked together in chronological order, generating a “chain” of “blocks”, i.e. blockchain. These blocks are added using complex cryptographical methods, a process called mining. The changes made are also registered simultaneously in all databases. Hence, in the blockchain, you cannot change a block in the chain, only add new blocks. This means that it is impossible to change the history of records in a blockchain, it is immutable. Cybersecurity: The decentralised architecture, combined with the information stored in chains of blocks using complex cryptography, is a combination that makes a blockchain almost impossible to hack or attack from a cybersecurity point of view. Public and private blockchains: A blockchain can be both public and private, as well as a hybrid between both. In a public blockchain (also called permission-less), anyone can join by setting up a copy of the database and participating, but in a private blockchain, the owners of the application decide who may join the network and participate actively on it. The cities themselves have a force to attract an ever-increasing part of the population. In 2014, 54% of the world population was located in urban areas, a percentage that is growing continuously and is expected to reach 66% by 2050 (1). The cities are playing a more prominent role in the economy and welfare of the nations. Although, our cities are also a focus for administrative, organisational, logistical, social and environmental problems. 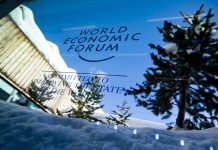 New political and social trends are claiming changes, such as: the end of corruption; greater transparency; the improvement of administrative efficiency; new models for citizen participation; more and better access to information and; better protection of personal and public information from a cybersecurity perspective, etc. Environmental-related issues are playing a critical role in the cities with demand for lower energy consumption, less polluted air, etc. 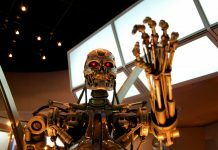 The technological development in areas such as communication, informatics and robotics is enormous (2) and society today is developing towards what is called a hyper-connected information society (3). In response to the above challenges and new needs, the only reasonable solution is to incorporate technology to a higher degree in the management and operation of our cities. The concept that refers to an integrated and fully deployed use of information and communication technologies in the management of the cities is called “smart cities”. 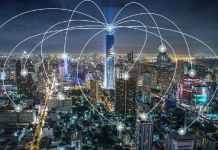 Given this background, it is understandable that there exists a growing interest in this topic and that large investments are being made in turning cities around the world into smart cities. For example, China is developing more than 200 smart cities (4), India is including more than 100 cities in the “Smart Cities Mission” (5); the U.S. has developed the “Smart Cities Initiative” (6); and Spain promotes the “National Smart Cities Plan” (7). Until a few years ago, the process of digitalisation and automation of public services was stuck in the improvement of each service in an isolated way. But this limitation is no longer necessary since the different services in a city now can be integrated with each other. The technological solution that offers a horizontal integration of the different public services is called “smart city platforms”. The platforms provide a single interface for the management of the whole city, which makes our cities capable of providing a radically more efficient type of management, as well as new and better services towards its citizens. Smart city platforms are developed both by private companies and public collaborative initiatives and are implemented and used in a large number of cities around the world. 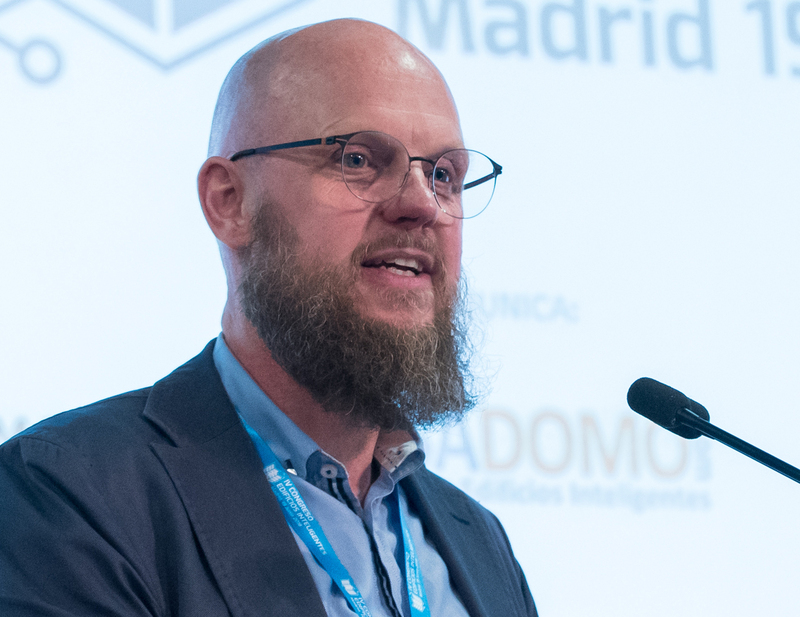 Although the technical functionalities of current smart city platforms are generally good, many are still closed systems that show difficulties related to integration, transparency, security and robustness. A possible solution to these problems presented is to build the smart city platforms upon blockchain technology. A correctly implemented smart city blockchain platform has the potential to revolutionise the governance model of the cities and provide a truly immutable, secure, open and transparent system for the citizens and the companies that operate within it. Below, the design of a “blockchain-based smart city governance platform for public services” is presented. What should the organisation of a blockchain-based smart city governance model for public services look like? In what way can the different public blockchain-based services be best integrated with each other? How can private, or semi-public, blockchain services be integrated with public blockchain-based services? Shall the public administration use one single token, or should a different token be used for each service? How can both private and open data within the system be structured, regulated and controlled? Below, a model of a blockchain-based smart city governance platform for public services is presented, together with a discussion and presentation of some tentative answers to the questions above. 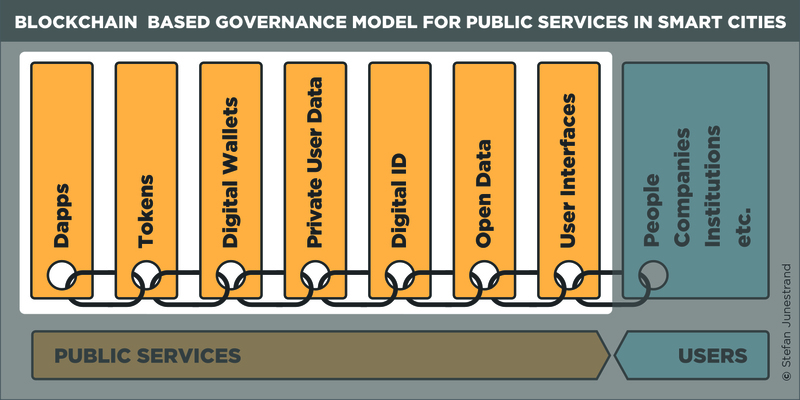 In a smart city governance platform for public services structured upon blockchain, some unique components such as: the digital wallet, Dapps, tokens, etc. are introduced, which are not present in governance models without blockchain. Users: Anybody with a relation to the public administration, such as inhabitants, companies, institutions etc. User interfaces: The interfaces through which the users interact with the different Dapps and information. Digital ID: The way the end user is identified within the system. Open data: The information in the system that can be accessed by any person or system, such as public finances and records, voting results, urban data, environmental data, etc. Digital wallet: The place where the users store their tokens (resources). Tokens: The units of value that represent different “rights”, such as specific tokens for voting, health services, education, transportation, etc. Dapps: The distributed web applications developed for the implementation and management of the public services. Public services: The governmental activities from where the services are provided through the Dapps and tokens and from where the private user data and the open data is delivered. Private user data: The information only accessible to the users with the specific rights, such as health records, social data, etc. 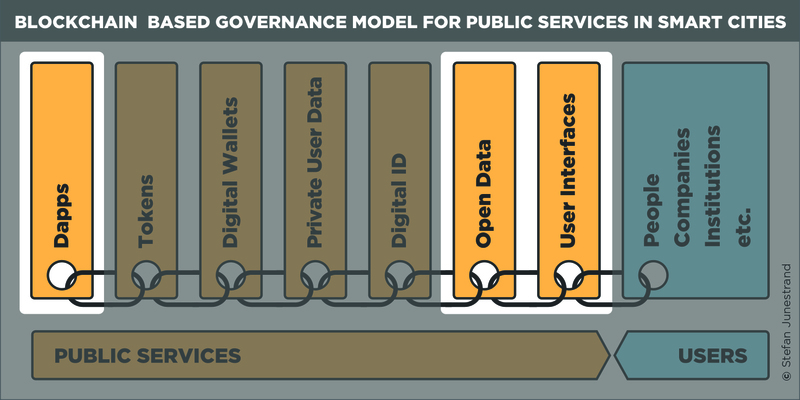 By structuring these components, a blockchain-based governance model for public services in smart cities is built (see fig. 3). The “user interfaces” is the citizens first step towards any interaction with the applications and information. The design has to ensure the widest acceptance possible within the population, offering a variety of technology platform preferences, such as mobile, PC, etc. as well as the application of an accessible design considering different physical and intellectual capacities. The role of the “Digital ID” can’t be overestimated, as it is necessary for any personalised interaction with the system, hence a successful deployment of a blockchain based governance model also has to ensure widespread implementation of the digital ID. The blockchain based governance model for smart cities will change existing tools and mechanisms for political steering, leaving public services to be implemented mainly through the Dapps, which will be the primary channel for the different services provided by a city. The development of specific tokens, in combination with the design of the Dapps, can ensure a high level of accuracy in the implantation of the public services. All public services do not necessarily include the interaction with the end user, for example, the financial information of a city could be a simple informative public ledger Dapp. All public services do not provide both private user data and open data, as this depends upon the information related to the service that is desired to be shared. In a blockchain based governance model for smart cities, it is also crucial to establish which parts of the blockchain should be public, private or a mix of both. This article points out that a blockchain based governance model for public services in smart cities is necessary to understand the broader context of both current blockchain based public service projects, as well as future developments. Below, some recommendations for these implementations along with some important questions to be considered for future research. Most cities that consider experimenting with blockchain technology for their public services will probably take a step by step approach, starting with isolated, small-scale pilot projects. When doing this, it is important though to understand the consequences of choosing which project to do, as some are more complex than others. Here, are two examples. 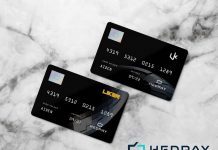 The first is the development of a full-scale interactive Dapp, that generally implicates the use of many components within the model, such as the digital ID, a token, the wallet, etc. which results in a complex project (see fig. 4). Figure 4. 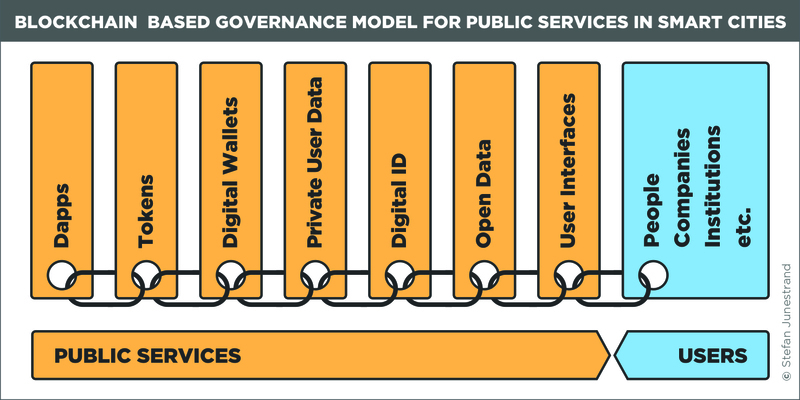 Illustration with the highlighting of the areas involved in a full-scale interactive service Dapp within the blockchain-based governance model for public services in smart cities (Source: Stefan Junestrand). The second example is using blockchain only as a smart contract for public information which might be rather simple and involves a few components within the model (see fig. 5). As a starting point, each city should define their indented governance model for public services based upon blockchain. A description should then be made of how the projects fits into the cities complete blockchain based governance model for public services, and the components involved in the development. And finally, to succeed, it is essential to select blockchain projects that match the available budget, timeframe, human resources, etc. Further analyse and describe the different components of the model and how they are interconnected, as well as the role and functionality of each one of them. Study real life blockchain-based public service projects in cities and compare those with the model. Evaluate the model from technical, legal, social and economic perspectives. (1)World Urbanization Prospects: The 2014 Revision, Highlights (ST/ESA/SER.A/352), United Nations, Department of Economic and Social Affairs, Population Division (2014). (2)Brynjolfsson, E. & McAfee, A., 2014, The Second Machine Age: Work, Progress, and Prosperity in a Time of Brilliant Technologies. W. W. Norton & Company, New York, USA. (3)Castells, M., 2004, The Rise of the Network Society. Second Edition. Wiley-Blackwell, Oxford, UK. (4)Li, Y., Lin, Y. & Geertman, S., The development of smart cities in China. Article presented at the CUPUM 2015, Planning Support Systems and Smart Cities.